So the slingshot vision has been my go to for the last two years. I first rode the 2015 version two years ago, since then i became a team rider and have continued riding it with slingshot Rad boots. 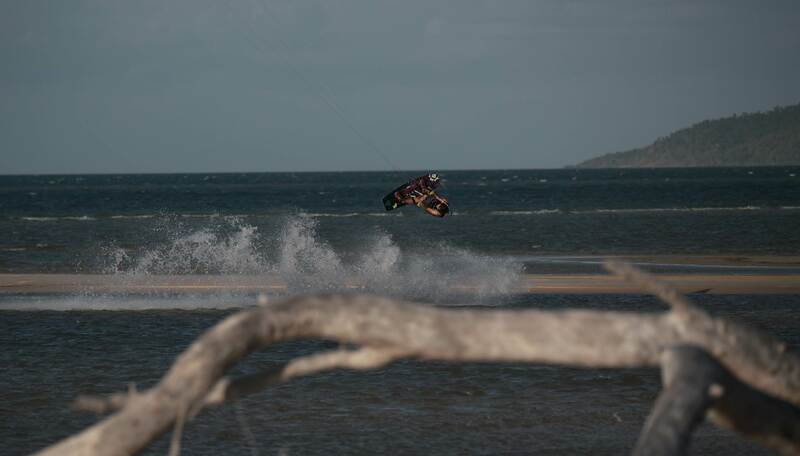 Whilst on a trip to Kitesurfari in far north Queensland i got the chance to ride the new 2017 vision for the week. Here are my thoughts on the fourth iteration of the board. The biggest thing i noticed straight out of the box with this board is the weight, Slingshot have ditched the fast track system this year in exchange for carbon bedrock inserts. These inserts look pretty solid, i took a few bad edges with the boots on but the board held up pretty well, so all good there. By removing the fast track system you also notice the flex pattern is far more consistent throughout the board. All this translates to a great feeling on the water when you pop as well as less weight in your feet. As helpful as swing weight is into rotations lets be honest boots provide enough weight by themselves. Couple of other things i found that the base on this board is relatively thin, i rode it over a few sandbars and definitely saw some wear over a couple of days. If you are someone who likes to abuse boards and ride over everything you see maybe have a look at the refraction which is rocking a pretty heavy duty base and similar outline. Overall id say I’m absolutely stoked on the new board this year, its definitely a noticeable improvement to the performance of the board. Good to see a new board and not just a graphics change. The vision remains for me a great freestyle boots board, looking forward to riding this and the refraction this season! I've just bought this board and have to agree with the OP, it's a great board. The first Slingshot bird I've actually liked in fact. ive got the 140cm and am also surprised that it's feels as light as it does, it looks heavier. It has loads of grip with the original fins, to much for my personal taste, I will find some smaller ones. The pop is mega and the landings feel super smooth and soft.